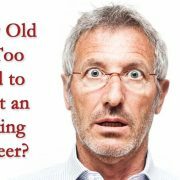 Wondering if you’re too old to become an actor? If it’s too late to achieve the level of success current A-listers have? 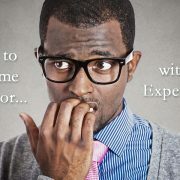 Or possibly you’ve been acting long enough already and it troubles you that your career is still not where it should be? This will calm you down (a little). 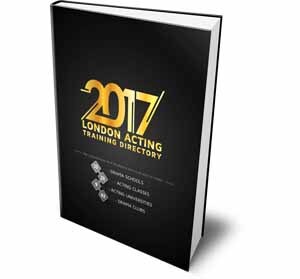 The old and tired saying still applies: acting is not a sprint, it’s a marathon, and the below list proves this cliche. These currently famous actors received the recognition they deserve a lot later in their lives, and most of them will tell you that there are no regrets. 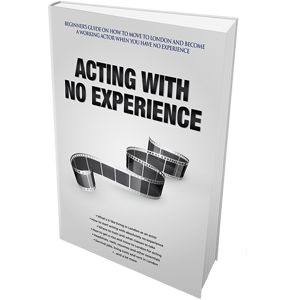 The point to take home is that as long as you work hard, and you know how to become a working actor through a series of well-planned steps instead of meandering around, you’ll get there sooner or later. Be patient; struggle is what makes it great! 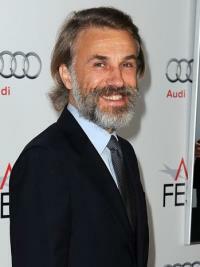 It should be appropriate to start the list with Christoph Waltz. Until 2007, Christoph was lucky to be able to support his family doing stage work and playing roles in small TV productions in Europe. That was until Hollywood (or rather Quentin Tarantino) came knocking at his door. Christoph was 51 when he got the part of Col. Hans Landa back in 2009. He won 2 Oscars since then. The late James Gandolfini has been acting since the 1980s, but what finally put his staggering acting abilities in front of a bigger audience was the little TV drama called The Sopranos. James was 38 when he landed the role of Tony Soprano that catapulted him into stardom. 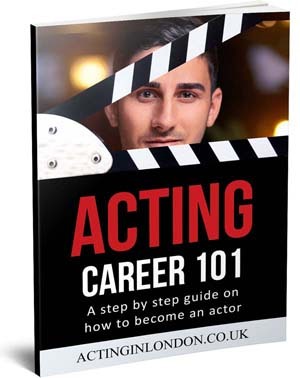 When pushing 30 years old, Alan was studying performing arts at one of the best drama schools he could’ve gotten into – the Royal Academy of Dramatic Arts in London. As graceful as stage work is, most actors wish for their work to be seen by more people than a theatre can accommodate, thus screen acting was the next step to go for Rickman after spending over 10 years on the stage. Alan was 46 when he got his now famous part alongside then future movie star Bruce Willis. 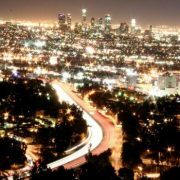 Watts was working steadily in American TV and small films since the beginning of the 1990s, but it was the David Lynch’s TV movie project called Mulholland Dr. that brought her fame when she was 31. She was nominated for 2 Oscars since then. Unlike most cases on this list, the late Kathryn Joosten decided to move to Los Angeles in pursuit of her acting dream when she was already 56. Kathryn didn’t have anything that would connect her to the industry and was starting from scratch, competing against actors of the same age that had decades of experience and credits. After years of struggle, she ended up winning two Emmy awards. Jenna Fischer was a struggling actress in Hollywood since the mid 1990s, getting lucky with occasional small bit parts and barely able to make the ends meet. When The Office came along to substantially boost her career in 2005, Jenna was 31. Her work as character Pam Beesly was nominated for an Emmy award, and she continues to work steadily. After starting to act late in his life, Michael Emmerson was doing small local productions in Florida and continued to do so all the way throughout the 1990s. But in 2000, when Michael was 46, his life changed – he got a part of a serial killer in The Practice, which finally opened the doors for him. He has won two Emmy awards since then and was nominated for a Golden Globe for his work in Lost. Swedish born actor Alexander Skarsgard continues his rise to stardom even as you’re reading this, but what finally put him on the right path was the opportunity in the HBO’s TV mini series Generation Kill in 2008 when Alexander was 31. US production offers started pouring after that, and he’s been doing TV and film work on a steady basis since then. Phylicia Rashad was doing a lot of stage work on and off Broadway in her twenties, but what brought all the fame and made her a name in Hollywood was the part in a famous sitcom The Cosby Show, for which she later received two Emmy nominations. Phylicia was 35 when the life-changing offer came in. British theatergoers always loved Dame Judi Dench long before Hollywood knew who she was. 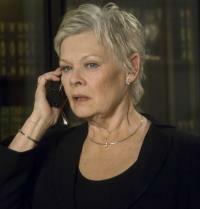 Even though Judi was already an experienced and well-rounded actor at that point, her actual breakthrough role into the US movie industry was the character of James Bond’s boss by a subtle name of M, in 1995’s GoldenEye. Judi was 61 then. Since that role came along, she’s managed to win an Oscar and was nominated for another six of them. 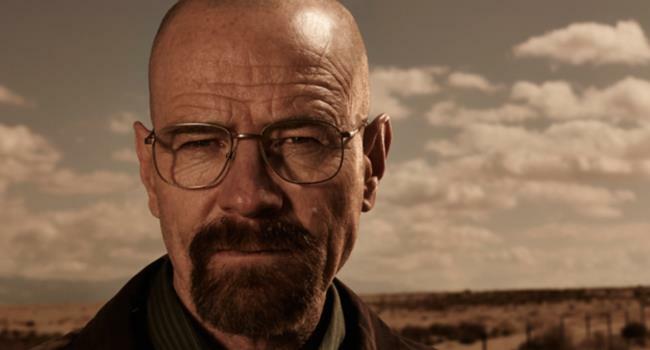 One of the hottest actors in Hollywood today is Bryan Cranston; it seems like he’s everywhere. Moreover, Bryan appears to be doing a remarkable job every single time. But it wasn’t just luck for Bryan – he was working hard through the 80s and the 90s without much of a recognition, with his biggest achieved being a role on Seinfeld. Then, Bryan finally made a name for himself in Malcolm in the Middle, when he was 44, further supported his claim of being a great talent with the work on Breaking Bad. In the recent years, Bryan won a Golden Globe award, Emmy awards and a Tony award. The very famous Hollywood actress Lucille Ball passed away in 1989, but even today, not everybody knows that Lucille wasn’t a big name raised by the movie studios right from the beginning. She was working her way up hard, performing on stage and doing low budget movies, until the part in America’s landmark sitcom I Love Lucy came along. Lucille was 40 then. Scottish legend Sir Sean Connery was working steadily since his twenties, but it was of course not until his first appearance as James Bond at the age of 32 when he finally started his rapid climb to fame. Sean has won an Oscar since then, and became one of the most respected actors in the history of film. 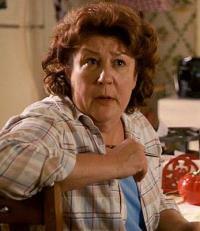 Margo Martindale was acting for the last two decades after her screen appearance debut in 1990, taking on a variety of small roles in TV and film. Finally, in 2004 her name started ringing a bell with people after her performance as Big Mama in Broadway’s Cat on a Hot Tin Roof when Margo was 53. She has then moved to do movies with A-list actors and great television, and also won an Emmy award for her work on Justified. Melissa McCarthy continues her conquest of Hollywood today, and is currently one of the fastest rising female actors. After getting into acting in mid 1990’s, it took her until 2011 to finally hit it really big with Bridesmaids in 2011, for which was nominated for an Oscar when Melissa was 41. Doing mostly commercials and some modeling on the side for the first part of her career in the entertainment business, Linda Gray rose to fame when she got the part in a 1978 TV show Dallas that completely turned her career around, and for which she was nominated for an Emmy award and two Golden Globe awards. Linda was 38 when she got the part. Everybody knows Stallone’s story, a yet another classic “from rags to riches through hard work” tale. Back in the 1970s, Sylvester Stallone was a dirt-poor struggling actor and screenwriter, who at one point couldn’t even afford rent and had to find places where to sleep. But it all changed when Sylvester was 30 and his script for Rocky (a draft of which he wrote in 3 days) was picked up with him attached in the lead role. F. Murray Abraham was performing for the most part of his life, but it was his Oscar-winning performance as Antonio Salieri in Amadeus that finally brought his amazing talent to a wider audience. F. Murray was 45 when that happened. John Mahoney decided to pursue an actor’s career a lot later in his life. As it turns out, it was the right decision, the one that helped him to win a Tony award for the job he did in The House of Blue Leaves as well as get two Golden Globe nominations for his memorable role in Frasier as Martin Crane when he was 53. When encouraged by her teacher, Kristen Wiig decided to pursue acting after college and years later moved to Los Angeles where she became a cast member of The Groundlings improv group. After surviving through a series of odd jobs and trying to become a working actress, Kristen finally rose to fame in 2006 after becoming a full cast member of Saturday Night Live at the age of 32. An experienced stage performer, Jayne Houdyshell was acting for quarter of a century in small regional theaters and other local productions. When 2006 came along, Jayne received her shot at fame with a Broadway performance in Well, which she nailed. Jayne was 53 at the time. After playing a series of memorable parts in the last 5 years, Jeremy Renner made sure that everybody knows exactly who he is – a versatile actor. But before his Oscar-nominated performance in 2009’s hit The Hurt Locker at the age of 38, Jeremy was doing a lot of smaller jobs, short films and otherwise trying to survive in the jungle that is Hollywood. The man that needs absolutely no introduction, Morgan Freeman wasn’t that famous for a large part of this career. Morgan first received some recognition for his work in Another World and a TV series The Electric Company, but it wasn’t until his stunning performance as Hoke Colburn in Driving Miss Daisy when he was 52 that he really made it. A comedic theatre actor, the late Estelle Getty was doing small acting jobs, mostly on stage, for the bigger part of her memorable career. After struggling to really make it big for many years, it was the part in 1985 TV series The Golden Girls that put her name on the map when Estelle was 62. She also won a Golden Globe award for her work on this series, and was nominated twice more later. 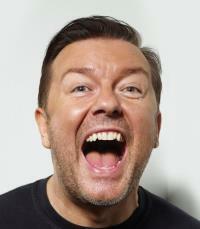 One of the most recognizable British comedians and comedy actors today who never runs out of ideas for his own projects, Ricky Gervais began acting in the 1990s when he was in his mid thirties. When Ricky climbed to 40, he finally hit it big with a British TV series called The Office which he wrote and starred in. Samuel L. Jackson has an incredible presence in any part he pursues, and leaves a memorable performance behind every movie project he participates in these days, but it took him two decades for people to finally see what the man can do. Samuel started acting in the 70s, doing stage work first and then taking up small parts in TV and film, but it was his work as Jules in Pulp Fiction that brought fame when he was 45 and Tarantino decided that this guy is simply too scary not to award him an opportunity. 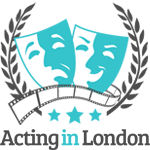 Danny Burstein is a well-trained actor with many years of experience who always had the most passion for stage work. 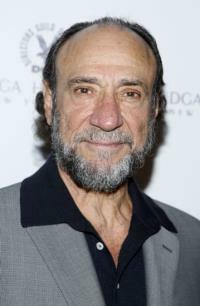 Danny performed in many different theater productions including Broadway stage. But it was 2006 when his talents have finally been recognized in his portrayal of Aldolpho in The Drowsy Chaperone when Danny was 42. The Hollywood legend Harrison Ford was a struggling actor for most of his early adult life. Even the role in American Graffiti didn’t bring him much of the success. Instead, it was the starring role as Han Solo in George Lucas’ Star Wars to which he’s still eternally grateful. Harrison was 33 when he got it. Versatile comedic actress Amy Poehler started her acting journey with improv, and went on to become a regular cast member of Saturday Night Live at the age of 30. This essentially became the life-changing step in her career and helped Amy achieve further success in television and even win a Golden Globe award. 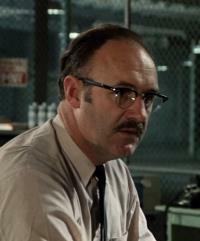 One of the all time greats, Gene Hackman realized he had an insatiable passion for performing in his late 20s while still living in Los Angeles. After nothing happened on the West Coast, Gene moved to New York City where he continued to struggle alongside his two friends, Dustin Hoffman and Robert Duvall. His breakthrough role was in a movie Bonnie and Clyde, and Gene was 36 then. Just as Kristen Wiig and Amy Poehler, Tina Fey is a third one in the bunch of these improv geniuses who joined the cast of Saturday Night Live – a huge set that pushed her forward for a long-term acting career in television. Nevertheless, her actual major breakthrough was co-starring in a movie Mean Girls when Tina was 34. Billy Bob Thornton started performing as a musician first, and when acting bug came knocking on the door, he didn’t have it easy at first. Billy started acting back in the 1981 after the move to Los Angeles, and only with the help of his own movie Sling Blade that he wrote, directed and starred in, Thornton conquered Hollywood at the age of 39. A comedy genius and ace of dry humor acting, Jane Lynch also has a history of being a struggling actress until her big break at the age of 43, which came with the role of Christy Cummings in 2000’s Best in Show. Since then, Jane won a Golden Globe award and two Emmy awards. We see and hear Jessica Chastain’s name quite often today, but it was fairly recently that Jessica could finally say that she finally made. Well-trained in Juilliard with the help of a scholarship sponsored by Robin Williams, this actress found recognition for her raw talent after the premiere of two movies close together, The Help and The Tree of Life, when she was 34. Jon Hamm was also another struggling actor in Los Angeles through most of his twenties and early thirties, with some minor TV “success” here and there. But it was the year of 2007 which brought us Mad Men and fame to Hamm. Jon was 36 when he got the part. Late Bea Arthur was doing amazing work until her passing away in 2009, but it took Bea many years before she could finally start picking her own projects. Bea was 46 when she got the breakthrough role of Vera Charles in 1966 Broadway production of Mame. She then went on to reprise this role again in a film production alongside Lucille Ball, and has been nominated for 9 Golden Globe awards. A talented actor and rangy singer, Norm Lewis was consistently working on stage in small productions for the bigger part of his acting career, being a part of a lot of amazing projects. Recently, Norm finally got his shot at fame in Broadway’s production of Porgy and Bess for which he was nominated for a Tony at the age of 48. 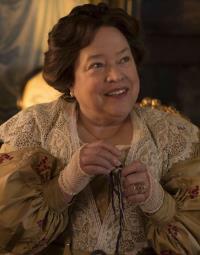 Another example of a versatile actress, Kathy Bates worked steadily for the most part of her acting career, but it was a major part in a movie Misery that won her an Oscar and finally put her on the map. Kathy was 42 when she got the role. Since then, Kathy has been nominated for more Oscars, Golden Globe and Emmy awards. Everyone knows the famous Tim Allen’s TV show Home Improvement, but Tim had to work, struggle and make money mostly through low paying stand-up gigs before his career finally took a turn for the better. Tim was 38 when he got the part of Tim Taylor, and has won a Golden Globe award. One of the most respected film actors whose work we enjoy to this day, Sir Michael Caine didn’t have it easy at first. He’s done some stage work in the beginning, starved for a while in Paris, and after returning back home to England, Michael pursued film acting. 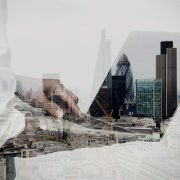 He struggled with good and poor projects, and even though his future was starting to look better, his real breakthrough came along with Alfie in 1966. Michael was 33 then. Burt Reynolds took up acting when he couldn’t play football anymore. He was doing small TV productions for around 14 years since the late 1950s, and it was major acting role as Lewis in 1972’s Deliverance when Reynolds was 36 that got him recognized. He then continued rising to fame and establishing his name in Hollywood throughout the 70s and 80s. Just as most actors, Steve Carell was working a lot of odd jobs at the time of trying to survive as a budding actor in the 90s alongside doing small bit parts here and there. And even though his work in Anchorman is well known, it was actually his breakthrough role as Michael Scott in NBC’s The Office that really put his acting skills and comedic genius on the map when Steve was 43 years old. 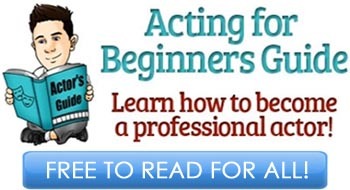 How Old is Too Old to Start an Acting Career?